Are you excited about getting a used car because you hate arriving in college or your office late? Owning a car enables you to have better control over your time because you get to important destinations on time and this enables you to become more efficient. Apart from the selling price, are there Things to Know Before Buying a Used Car? Yes, there’s a list of factors to consider before buying a used car. This information isn’t just about who has the best prices in town. What should I know before buying a used car? your credit score. It determines how much interest you’ll pay for your auto loan. One of the Things to Know Before Buying a Used Car is your credit score. 6. Does the car have a warranty? Depending on where you live, you’ll need to comply with the current car buying and selling laws. You need to understand whether it’s the buyer or seller who pays the car title transfer fees. If there are any taxes involved, how much will you pay? Each federal state has procedures for buying a car from a seller residing in a different state. You’ll need to obtain different forms for car title transfer. If you plan to use a different set of number plates, make sure you visit the DMV to seek guidance. Doing a little research enables you to get value for money when buying a used car. Some owners will be honest about why they’re selling their cars. For instance, if you saw auctioneers raiding your neighbor’s house, you’ll understand that he or she is selling to get out of unmanageable debt. On the other hand, a random car seller you recently met online could be part of an auto theft gang. Purchasing a stolen car can land you in jail especially where the car thieves used violence. In this case, you’ll need to find out where the seller lives, works, and criminal record. 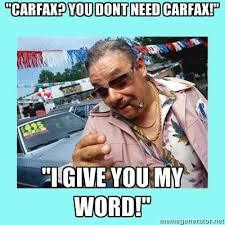 In most used car sales, the seller doesn’t offer any free after-sales services. Moreover, it’s hard to obtain a refund from a seller who desperately needs the money to pay overdue mortgage installments. So, you should probably ask for a test drive before parting with your money. Smart buyers conduct fluid tests to check for leaking pipes or tanks. Also, you should take the car for inspection to a trusted mechanic. A thorough inspection checks the accuracy of your car’s odometer. It’s common for car sellers to lie about their cars’ mileage in order to get better prices. When a car approaches 8 years old, its auto manufacturers begin phasing it out. Each year, production of that particular model declines by huge margins because auto manufacturers want you to keep up with the current market trends. In the past decade, auto manufacturers have focused on producing environmentally friendly cars and phased out cars with high carbon emission rates. One important advantage of buying a car that’s less than five years old is that you can easily get spare parts. Easily available spare parts are highly affordable and you’re guaranteed of finding genuine products. Auto insurance companies charge higher quotes for cars manufactured more than five years ago. Why? Because at this age, cars break down more frequently. This reduced engine performance increases your risk of causing accidents. So, you end up paying higher insurance premiums to compensate for this increased risk. Make sure you visit several auto insurance companies to find out their quotes. You might save up to 30% by just asking around for a good auto insurance company. A Certified Pre Owned (CPO) Car is great if you’re looking for a used car that’s in excellent condition. You’re guaranteed of getting value for money because auto manufacturers always do a full car inspection and repairs before declaring a car as a CPO. Another advantage is that CPOs are less than five years old and this enables you to get cheap car insurance quotes. If the car has an extended warranty, you should confirm whether it’s transferable. There are also fees to pay and they vary according to price. If you haven’t found a seller offering you a CPO, you’ll have to budget for repairs and replacements. You’ll need to budget for a new dashboard and seats if you’re planning to buy a used car manufactured 5-8 years ago. The same case applies to the stereo. Perhaps you’ll have to buy a new set of shock absorbers. These expenses can be challenging to buyers who don’t do thorough inspections before purchase. It’s important to determine your purchase options in advance. If you have a subprime credit score, find out how much interest you’ll pay on your car loan using a car loan calculator. Start saving for a good down payment and look for a cosigner. Don’t forget to download your credit report before applying for car loans. Are you planning to pay cash? Create a savings plan today and open a fixed savings bank account. A smart seller doesn’t guess selling prices because he or she relies on accurate facts. Are you planning to trade-in your current car? It’s your responsibility to get a good offer by using a credible motor vehicle evaluator. You’ll get accurate prices and this information gives you confidence when negotiating with car dealerships or private sellers. The nine tips you’ve just read will enable you to carry out thorough due diligence. Applying them will enable you to verify the identity of a car seller and intention of selling their motor vehicle. You also get value for money by finding out whether a car comes with a warranty. You’ll also have better control over your car expenses by planning for your auto insurance quotes in advance.